ULTRA PREMIUM EXTRA VIRGIN OLIVE OIL, with exceptional aromas and excellent taste especially selected from KORONEIKI VARIETY OLIVES for the lovers of the exquisite Greek olive oil. 100 % HELLENIC EXTRA VIRGIN OLIVE OIL, unique in its taste with a bright emerald green color that lasts in time, rich in flavor combining grassy and banana aromas. Selected with passion from the famous region of KALAMATA GREECE ready to fulfil the expectations of the most demanding consumers. Bottled in OLEA glass bottles of 250ml & 500ml. OLICOBROKERS is a Greek company with the goal to promote the Greek olive oil by exporting all its qualities either in bulk or bottled. We have managed to create long-lasting relationships with our clients and gain loyal and committed customers all over the world such as in Italy, Spain, U.S.A, China, Japan, Vietnam and other. 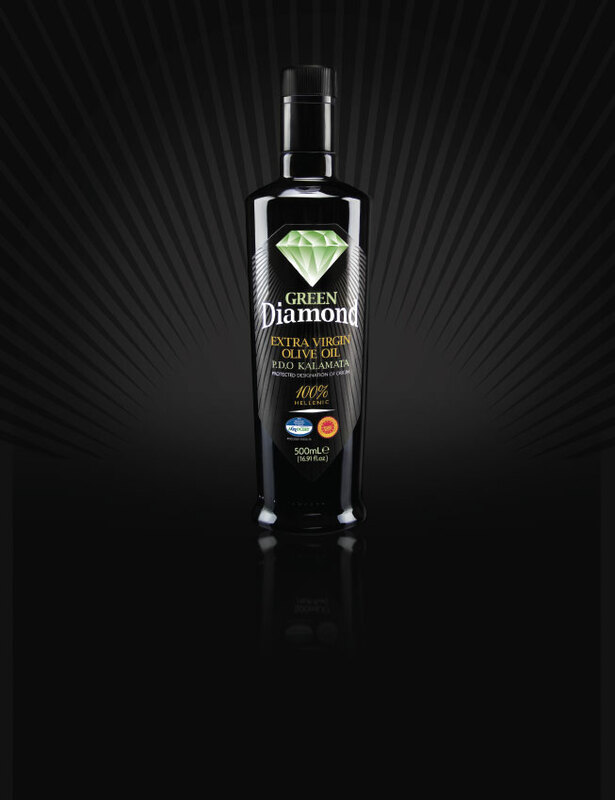 We provide the world with premium bottled and bulk olive oil. Our experienced and well-organized team of experts offer to our buyers the best product which can satisfy the needs of every demanding customer. Thanks to our faith in our vision, to promote the Greek olive oil abroad, and our constant updates towards the olive oil market, we are able to offer our consulting services to any potential buyer, we are able to guide them concerning the olive oil selection, inform them about anything that might occur in the olive oil market and finally provide them with the best quality of Greek olive oil accompanied with all the necessary certifications. Our cooperation with the most well-known and highly certified laboratories in Greece can provide our customers with any necessary certificate concerning the quality of olive oil that is being exported. Our main goal is to promote the Greek olive oil abroad with respect to the Greek olive sellers and commitment to our buyers. We can guarantee the best quality of olive oil in the most competitive prices of the market. OLICOBROKERS has implemented a system of continuous collection of information regarding Olive oil production (quantity and quality) and next crop forecasts, directly from any region of Greece (Crete, Peloponissus, etc) and abroad with its experienced staff of Agriculturists and its local collaborators network. OLICOBROKERS exports olive oil in bulk in all its qualities (EXTRA VIRGIN, VIRGIN, OLIVE OIL, POMACE) from Greece and mainly from the famous regions of Crete and Messinia with a view to promote the Greek olive oil abroad and gain a sustainable position in foreign markets. Every day we receive a variety of olive oil samples of all the qualities from various Greek traders and oil millers which are being tasted for flavor and aromas by our team of experts. After the tasting procedure we carefully select the best olive oil samples and send them to our customers all over the world in order to choose the quality they prefer the most. All the samples are also being tested with all the necessary chemical analysis from the most well known and fully equipped Greek laboratories with which we have a very successful cooperation. We guarantee to our clients the premium quality of the olive oil that is being exported with all the certificates that prove its premium quality. OLICOBROKERS in cooperation with the most modern and well-organized co packers in Crete and Messinia exports bottled Greek Extra Virgin Olive Oil under its own brands. We have created a prestige line of 100% Greek Extra Virgin Olive of premium quality bottled in various packings. Apart from its own brands OLICOBROKERS has the possibility to bottle Greek olive oil on behalf of a customer under private labels. We will be in response for the selection of the olive oil that our customer intends to bottle and we will supervise the bottling procedure in our co packer’s factory until the shipment of the merchandise which will be accompanied with all the necessary qualifications and certificates. plastic bottles of 500ml, 1lt,3lt και 5lt. tins of 500ml,1lt, 3lt και 5lt. Our factory is located in the area of ASTROS, 2 hours far from the city of Athens. We there, store and bottle our premium EVOO ready to serve our clients. 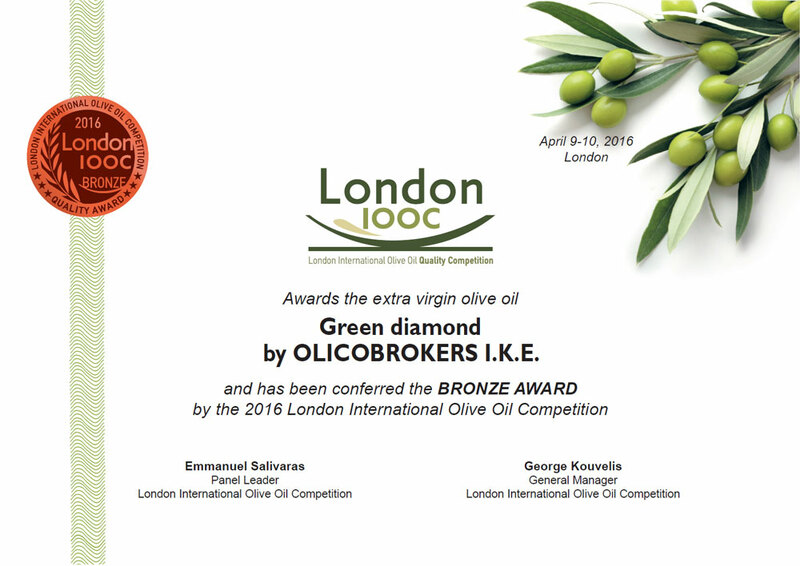 Olicobrokers, has every necessary certificate that allow us to bottle and sell our Greek Extra Virgin olive oil. 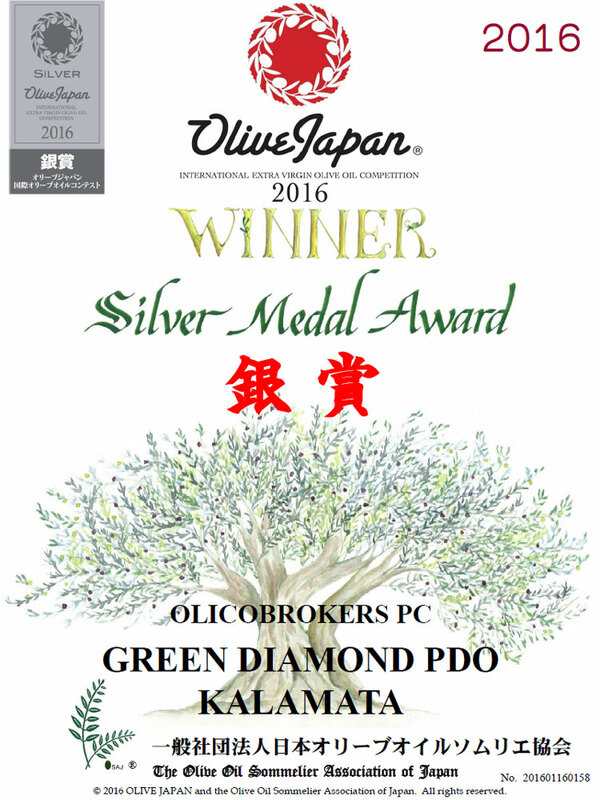 - A Silver Medal Award was awarded to GREEN DIAMOND PDO KALAMATA at the “Olive Japan 2016 International Extra Virgin Olive Oil Competition″. - A Bronze Award was awarded to Green diamond by OLICOBROKERS I.K.E. at the “London IOOC 2016″. Our company Oswort Nigeria Ltd, is a subsidiary of a multinational company in Nigeria by name May & Baker Nigeria Plc. 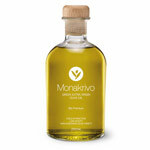 We are interested in finding a producer of extra virgin olive oil that will contract produce for us in our own label. We are interested in knowing the fob prices of 100ml, 250mls, 500mls 1000mls in glass bottles and what quantities that will fill a 20ft or 40ft container.